The town of Andover is located in Essex County in the northeastern part of Massachusetts, approximately 23 miles north of Boston. Located on the banks of the Merrimack River, Andover is bordered on the north by the cities of Lawrence and Methuen, on the east by the town of North Andover, on the south by the towns of North Reading and Wilmington, and on the west by the towns of Tewksbury and Dracut. Andover has approximately 32 square miles of land area, and 223 miles of roadways. Andover is bisected by two major highway systems, Routes 93 and 495, and a number of secondary roadways including Routes 28, 133, 114 and 125. Public transportation is available via two commuter rail service stations from Andover to the metropolitan Boston area provided by the Massachusetts Bay Transportation Authority, and a regional bus service provided by the Merrimack Valley Transit Authority. Andover was originally settled in 1636 under the Native American name of Cochichawicke, a local waterway. The community was incorporated in 1646 as the Town of Andover, named after a town in England where many of its settlers had come from. From the earliest days of the town, manufacturing has played a major part in its development. The region's first powder mill was established in 1775; the manufacture of paper began in 1789; and in the early nineteenth century, several woolen mills prospered. While all of these early forms of manufacturing have since moved away, Andover continues to attract major modern industries. Andover is known the world over for being the home of one of the oldest and most prestigious independent secondary "prep" schools in the U.S. – Phillips Academy. Founded in 1770 by Samuel Phillips, the school today has an enrollment of approximately 1,100 students. Phillips Academy alumni include such notables as former President George Bush, pediatrician Dr. Benjamin Spock, former Yale President and baseball Commissioner A. Bartlett Giamatti, and former Chief Justice of the United States Supreme Court, Oliver Wendall Holmes Jr.
Andover is known for its forward thinking government, committed to quality, responsiveness, and service. The Town's governing charter was enacted by the Legislature in 1956, and amended in 1974. The Charter authorizes an open town meeting-board of selectmen-town manager form of government. The Town is overseen by an elected five-member Board of Selectmen, and is administered by an appointed professional Town Manager, who also oversees approximately 20 departments and divisions. 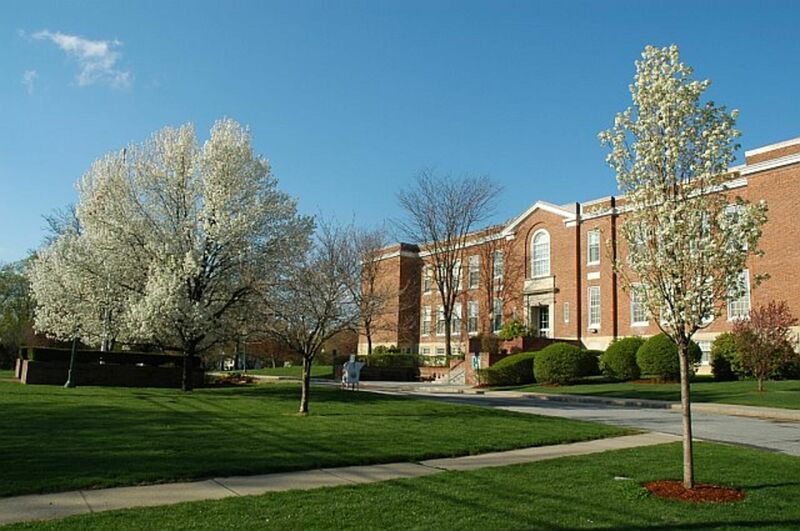 Andover's public schools are overseen by an elected five-member School Committee, and administered by an appointed professional Superintendent. There are also various appointed boards and committees which have specific responsibilities concerning various aspects of town governance. Town Meeting, which is generally unique to New England, serves as Andover's legislative body. It offers all registered voters of the community the opportunity to participate in the major decisions of the Town. Town Meeting is facilitated by an elected Town Moderator, who also responsible for appointing a nine-member Finance Committee, which in turn is responsible for advising Town Meeting on all matters brought before it. The Town of Andover provides a full array of high-quality services to the general public, including: full-time police and fire protection; schools for grades kindergarten through 12 (one early childhood, five elementary, three middle, one senior high, and one reg. voc. tech. high); solid waste disposal and recycling; street maintenance and snow removal; public health and natural resource protection; elder, youth and veterans services; a full service library; and various parks, playgrounds, conservation lands, and recreational programs. The Town also operates its own water supply, purification, and distribution system; and provides sanitary waste disposal via connections to a regional treatment facility. During the summer months the Town operates Pomp's Pond, a family and youth oriented recreation area located off Abbott Street, which includes recreational and instructional swimming; shaded picnic tables; boat rentals; volleyball; and a children's playground. The Town of Andover is committed to a high degree of community responsiveness; providing high quality services to its citizens, and conducting all of its affairs in a professional manner. Andover is home to businesses of all sizes. The town is known for its vibrant and diversified local economy. With its major intersecting highways, busy rail-line, and proximity to international airports in Boston and Manchester, Andover is a true business "cross roads." The town offers several industrial parks, a thriving downtown central business district, and a number of mixed use commercial areas. Andover is a highly sought after location for large companies representing major industries, including those involved in defense contracting, computer hardware and software, biotech, and medical products. Andover's largest commercial/ industrial employers are: Raytheon, Phillips Healthcare, Pfizer Biopharmaceuticals, Putman Investments, Schneider Electric, Vicor Computer Equipment, Verizon Communications, Enterasys, Hewlett Packard, and Smith & Nephew Medical Devices. There are approximately 259 acres of developable commercial and industrial land remaining in town, as well as significant office space rental opportunities, suitable for accommodating almost any business need. Andover welcomes visitors and tourists from across the globe. Cultural attractions abound in the community and surrounding area, including a verity of performing arts, museums, and historical sites. Professional minor league baseball and hockey can be viewed at nearby venues. The town offers a myriad of opportunities to explore and enjoy the great outdoors. Whether it's hitting the links at one of the world class golf courses, hiking or cross country skiing along the many trails running through conservation lands, or canoeing along the pristine Shawsheen River, there's something for everyone. Harold Parker State Forest provides an additional 3,000 acres of open space for fishing, camping, biking, and horseback riding. With its numerous lodging options conveniently located just off Interstates 93 and 495, and its central location within the greater Merrimack Valley region, Andover is an ideal location for vacation and business travelers. Come and make Andover your home away from home. Widely regarded for its high quality schools and community spirit, Andover has evolved into a highly desirable community. In addition to offering a full range of housing options, from high-end single family homes, to low to moderate income rental and ownership opportunities, Andover's real estate market has been historically strong and resistant to economic downturns. The community's physical proximity to Boston, the Massachusetts seashore, and the White Mountains of New Hampshire, along with excellent major highway access, all contribute to its broad appeal. Andover's unique combination of physical, economic, governmental and social attributes create a highly desirable community for residents, businesses, and visitors alike. Andover, Massachusetts – the Home of America.